We will start and end the march at in the downtown square (216 Lakeshore Rd. E Oakville Ontario). 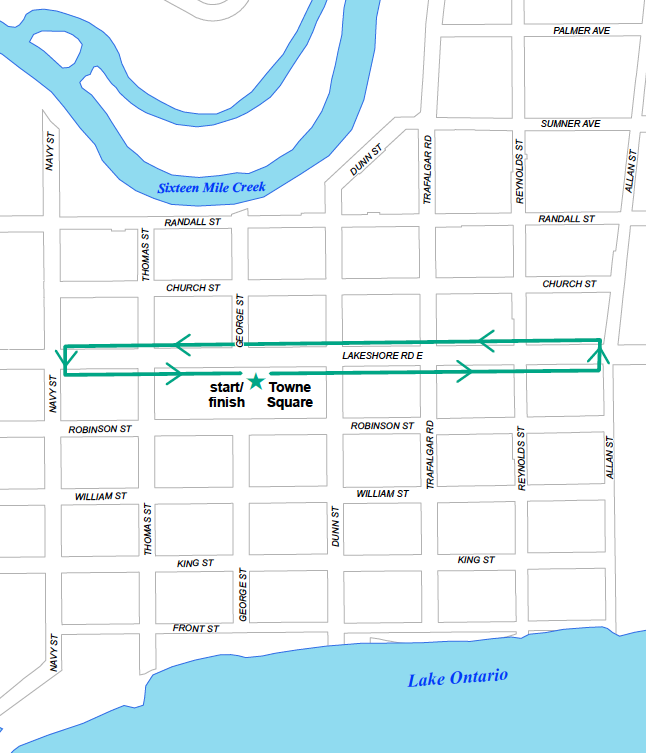 We will head east on the south side of Lakeshore towards Allan, then cross the street to the north side. We will follow Lakeshore back towards Navy before looping back to the towne square. We hope to make this year’s Monster March even bigger and better than last year!